There’s no cure for Alzheimer’s – the devastating neurodegenerative disease which causes progressive dementia in 5.3 million Americans – only treatments that help slow down a certain outcome. A milestone research may have finally broken the dry spell in Alzheimer’s research looking for the much sought after cure. While current drugs help mask symptoms, a intravenous drug developed by US researchers actually treats the disease itself with patients showing marked improvements in memory and cognition. At the brain level, new blood vessel formation and an increase in neuronal cell counts was registered. The bad news is that the Alzheimer’s patients are rats and experience has taught us that Alzheimer’s research seldom translates to humans. Seldom, not never though. Alzheimer’s affects a receptor class called Endothelia B-type in the brain and has been the therapeutic target for a range of research on the disease. Stimulating these receptors showed to offer protection to the nervous system. So, the researchers targeted the receptor with a substance called IRL-1620, which activates the receptor acting as an agonist. An agonist is the opposite of an antagonist, meaning that it binds and activates a receptor – the antagonist blocks it. After delivering the substance intravenously, the researchers notice a couple of marked improvements only 15 days after the treatment. The rats, which had Alzheimer’s genetically induced, showed improved memory deficit by 50-60% and reduced oxidative stress by 45-50%. Best of all, though, they found new blood vessels and neurons formed in the brain. This shows that Alzheimer’s symptoms have not only been masked, but reversed as reported in the journal Neuroscience. This is the first research that proves IRL-1620 can reverse Alzheimer’s in an animal model, but from rat to human there’s a long way to go. Besides the inherent differences between, well, rodent and human, these sort of findings are skewed by the fact the diseased rats themselves don’t have a perfectly analogous form of Alzheimer’s. Typically a gene or set of genes are inserted into a rat that causes amyloid beta protein to accumulate in the rats brain which we believe makes up the plaques found in the brains of Alzheimer’s patients. This leads to the formation of a range of clinical and pathological features of Alzheimer’s disease, including cognitive and behaviour deficits, amyloid plaques, neurofibrillary tangles, synapse and neuron loss and neurodegeneration. We currently don’t have a mouse or rat which can develop all the same features of Alzheimer’s disease as humans. When a trial based on a rodent animal model is assessing whether a treatment works at removing Alzheimer’s disease pathology from the brain, it is unlikely to translate into human studies in the same way. 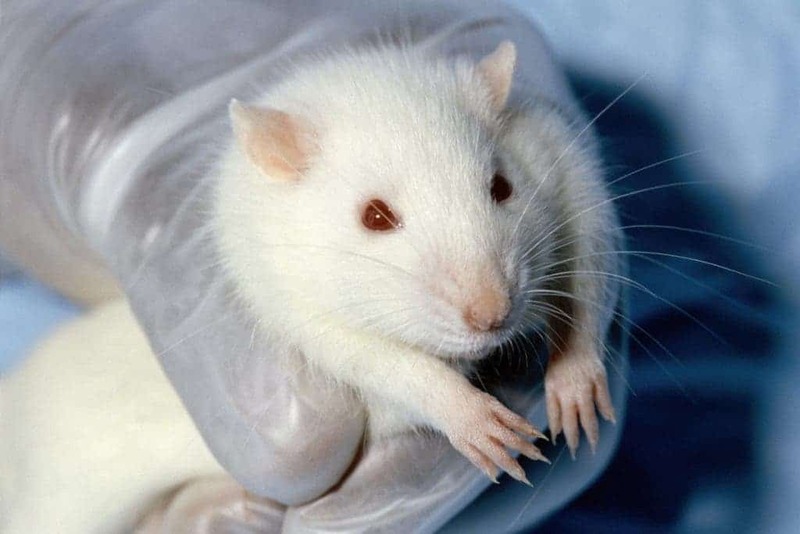 The best models, some scientists believe, are not genetically modified rats, but those elderly rats that develop the disease naturally, just like us humans. Considering the promising findings, however, we can only hope that this might work on humans, although it’s a cumbersome process. The clinical trials would have to work with a lot of dosages and counting the blood vessels and neurons isn’t that viable. The rats in these studies had to be sacrificed to have their brains dissected. Let’s hope for the best.